"New Archbishop: Masons have no place in the Church "
The new Archbishop of Canterbury has said he believes Christianity and Freemasonry are "incompatible" and has refused to appoint clergymen to senior posts because they are members of the Brotherhood. 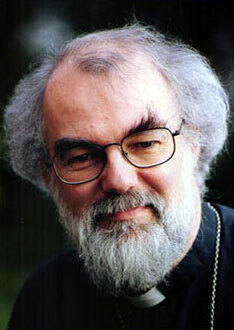 Dr Rowan Williams, who becomes head of the Church of England next month, told The Independent that he is not in favour of ministers being Masons because it is a "secret organisation" whose views are questionable. He also voiced doubts in a letter to Hugh Sinclair, who has been investigating the Brotherhood: "I have real misgivings about the compatibility of Masonry and Christian profession ... I have resisted the appointment of known Masons to certain senior posts." Dr Williams' comments will renew controversy about the Freemasons. In the past 50 years some of its most senior members have been in the Church's higher echelons, and there have been links between the two organisations for centuries. Thousands of leading clergymen and churchgoers are among its 350,000 British members. The Rev Gregory Cameron, chaplain to Dr Williams, said: "He questions whether it's appropriate for Christian ministers to belong to secret organisations. He also has some anxiety about the spiritual content of Masonry." A spokesman for the Archbishop said he was "worried about the ritual elements in Freemasonry - which some have seen as possibly Satanically inspired - and how that sits uneasily with Christian belief". He continued: "The other idea is that because they are a society, there could be a network that involves mutual back-scratching, which is something he would be greatly opposed to." A spokesman for the Freemasons in England said: "As far as we are concerned, there is no incompatibility between Christianity and our organisation whatsoever." I write in response to the reports in The Independent newspaper of your views on Freemasonry. c) you have in the past not appointed to sensitive senior posts candidates who are Freemasons and intend to continue that practice. For nearly 300 years Freemasonry has existed in an organised way in England and Wales. During that period hundreds of thousands of committed Christians (clergy and laity) have found no incompatibility between their Christian faith and the principles and practices of Freemasonry. Indeed many have testified that their membership of Freemasonry has strengthened their faith and, in some cases, brought them back into active church membership. The prime and inalienable qualification for admission into Freemasonry is a belief in God. An individual's religion is a matter for his conscience, and Freemasonry will not interfere in or in any way comment on religious matters. As a result our membership encompasses Christians of all denominations, Jews, Muslims, Hindus, Sikhs, etc., who meet together in harmony, knowing that their religions differ but not allowing those differences to come between them on Masonic occasions. The suggestion that Freemasonry is "Satanically inspired" in its rituals would be risible were it not for the fact that it questions the basis of the faiths of over 300,000 Freemasons under the United Grand Lodge of England, whatever their religion may be. Even a small amount of elementary research would have shown how nonsensical this dreadful assertion is, and would have enabled you to avoid giving deep and gratuitous offence to so many who are encouraged in every form of Freemasonry to be true to their God above all other considerations. As for the claim that Freemasonry is a "secret organisation", it must surely be a very peculiar "secret" society which makes its rules and aims available to the public; publishes annual lists of its national and local leaders together with the dates and places of meeting of all of its units; opens its national headquarters to the general public on a daily basis; maintains national and local web sites on the Internet; gives regular briefings to the media; and provides spokesmen to speak anywhere about its nature and activities. Each Freemason is at perfect liberty to tell whomsoever he pleases that he is a Freemason. Indeed Freemasonry is one of the few organisations to have been specifically declared not to be a secret society. In July 2001 the European Court of Human Rights ruled that (a) Freemasonry was neither a secret, criminal nor an illegal organisation, and (b) that in making appointments or promotions it is illegal to discriminate against a candidate simply because he is a Freemason. Rather than being a self-serving network, the opposite is true. On at least six occasions during the process of becoming a Freemason the new member is told that it is contrary to our principles and rules to use his membership to gain any form of advantage for himself or anyone else. Any attempt to do so will result in disciplinary proceedings, with sanctions running from admonition to irrevocable expulsion. I have enclosed two booklets and some leaflets which explain the background to Freemasonry and how it relates to society in general. The booklet "Your Questions Answered" deals in particular with the myths which surround Freemasonry. I also extend to you an invitation to meet privately with some senior Freemasons to discuss at the true source any doubts you may have, in preference to simply putting your faith in secondary and unreliable information. Your three immediate predecessors each came here for lunch and found it an interesting, stimulating and enjoyable experience. I realise that you have much to consider at the present, and that it may not be convenient to accept this invitation immediately. I trust that you will permit me to write to you again after your Enthronement to reaffirm our wish to welcome you here and show that your doubts about Freemasonry have no justification in fact. I have been sorry to learn of the distress of a considerable number of Freemasons. It is true that a great deal of upset and hurt has been caused by the newspaper reports about my purported views on freemasonry. In replying to private correspondence, I had no intention of starting a public debate nor of questioning the good faith and generosity of individual freemasons and I regret the tone and content of the media coverage. Much of the distress has been due to what amounts to a serious misrepresentation of views I am supposed to hold. The quoted statements about the "satanic" character of masonic ceremonies and other matters did not come from me and do not represent my judgement. Since my late father was a member of the Craft for many years, I have had every opportunity of observing the probity of individual members. Where anxieties exist, however, they are in relation not to Freemasonry but to Christian ministry, and. my letter simply reflected a personal unease about Christian ministers subscribing to what could be and often is understood (or misunderstood) as a private system of profession and initiation, involving the taking of oaths of loyalty. Concerns like these have led to a number of debates within the church in recent years and it is clear that there are still widely differing views ? held with sincerity and honesty ? about the compatibility of certain aspects of Freemasonry with Christian belief, ministry and, service. My statement about resisting the appointment of freemasons to certain posts in Wales needs to be understood against the background of the belief that I and the church had deliberately advanced the cause of Freemasons. In saying that I had resisted the appointment of Freemasons to certain posts I was not suggesting that people had been blackballed, but asserting that I was satisfied that membership of the Craft was neither a disqualifier nor an advantage. I welcome the manner in which Freemasons have engaged in debate and especially the increasing openness of recent years. Their commitment to charitable causes and the welfare of the wider community is beyond question.